Oh Boy, New Comics! For April 23, 2014. “Teenage Mutant Ninja Turtles” #33 from IDW. Cover art by Mateus Santolouco. “Teenage Mutant Ninja Turtles” #33: Written by Tom Waltz, Bobby Curnow, and Kevin Eastman. Art by Mateus Santolouco. Published by IDW. Price: $3.99. When I was a kid, I used to love watching the 90’s live-action TMNT movies. My brother and I would hop over the couch, karate kicking and sword swinging; we used to eat pizza with extra salt, the same way Donatello ate his. As a longtime fan of the franchise, I can’t praise enough the work the guys over at IDW have been doing on these books. 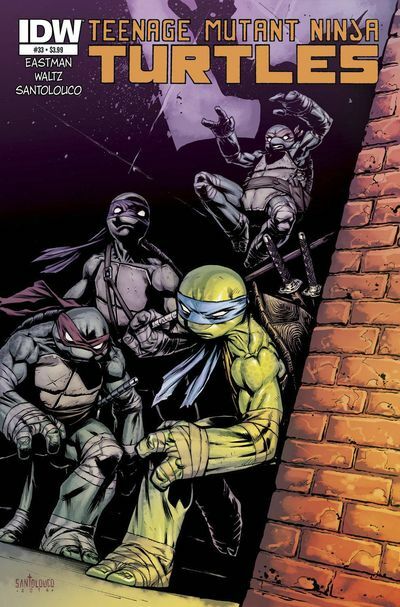 This current TMNT series reminds me a lot of the original comics, probably because one of the original creators, Kevin Eastman, has had a part in their creation and direction. The turtles recently finished a gigantic storyline, “City Fall,” that was epic in action and scope. Expect good things from this creative team. “Bravest Warriors” #19 from BOOM! Cover art by Kyle Fewell. 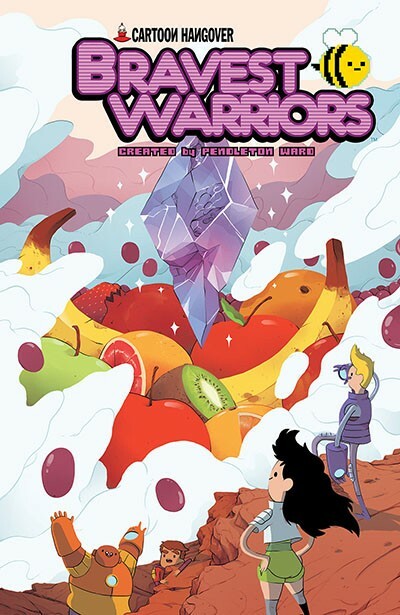 “Bravest Warriors” #19: Written by Jason Johnson and Breehn Burns. Art by Mike Holmes. Published by BOOM! Price: $3.99. I’ve been sad, you guys. Ever since I learned there won’t be new episodes of “Bravest Warriors” until late May, I’ve been impatiently awaiting their arrival. Thank the gods that I can get more of my favorite space heroes in comic book form to tide me over. Recently Breehn Burns has joined the writing staff. He is the main writer and creative-type behind the web series, and his influence has injected even more fun into an already very fun series. This might be on the top of my read pile, and it’s likely to be the one I read again and again. If you like laughter, I think you’ll like this book. “Mind MGMT” #21 from Dark Horse. Cover art by Matt Kindt. 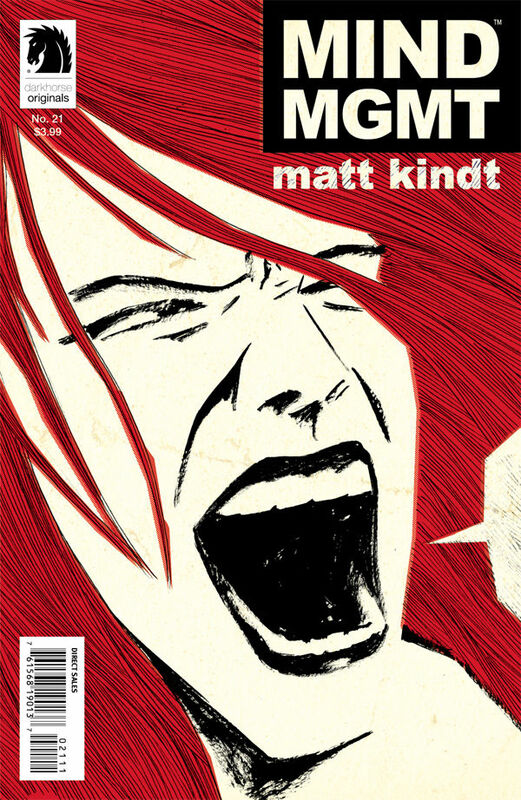 “Mind MGMT” #21: Written by Matt Kindt. Art by Matt Kindt. Published by Dark Horse Comics. Price: $3.99. First off, look at the line above; I have so much respect for those who can produce almost every aspect of their book. Mad props. I’ll admit, I’ve only read the first six issues of this series, but what I read was awesome. As soon as I can I’m going to get caught up through the trades, because the intricate and psychological thriller Matt Kindt has penned is addicting. This story has my girlfriend’s approval, so you know its good. Cool Books That You Really Should Know About: “Midas Flesh” #5, “Dead Boy Detectives” #5, “Deadly Class” #2, “Walking Dead” #126, and “Daredevil” #2. The list might look short, but don’e be deceived; this is going to be an awesome week. Remember, I can’t 100 percent guarantee you’ll love these books, but I think the’re going to be pretty good. Check back in on Wednesday and Thursday to see some reviews of this week’s comics, and let us know in the comments section if there are any comics that you’d like to see reviewed. Enjoy new comics day! Amazon and ComiXology- Changing Digital Comics?